Joseph Thomas Morales, age 84, of Wilmington, DE passed away peacefully on Saturday, December 1, 2018 at Compassionate Care Hospice at St. Francis Hospital. Joe was born in Wilmington, son of the late Rosario and Rosina Biancey Morales. He graduated from Brown Vocational High School in 1953. He served in the U.S. Army from 1953 to 1956 during the Korean War and was stationed in Iceland for 1 year. Joe was a barber by trade, working along side of his father for 22 years. After his retirement from the barber shop, he worked for Brooks Amoured Car, retiring in 1998. Joe was the past President for St. Helena’s Athletic Association, CYO football coach, and a member of the Salesianum Fathers Association. He golfed for over 50 years and made many golfing friends. In addition to his parents, Joe is predeceased by his son, Michael Morales; and his stepmother, Angeline (Davies) Morales. 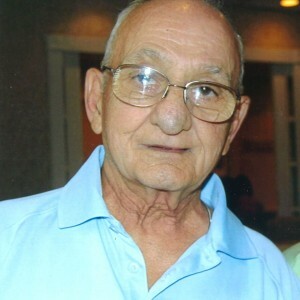 He is survived by his loving wife of 62 years, Florence Mancino Morales, his children; Rosemarie Huhn(Tim), Joseph Morales(Brenda), Pamela Radke(Jeff) and Felicia Ortiz, his grandchildren; Rosalie Morales(Fran), Nicholas Morales, Laura Huhn(Tim), Melissa Dohring(Nick), Stephen Huhn(Jill), Matthew Radke, Anthony Morales, Vincent Morales and 6 great-grandchildren. A Mass of Christian Burial will be offered on Wednesday, December 12, 2018, 12:00 PM at St. Helena’s Catholic Church, 602 Philadelphia Pike, Wilmington, DE 19809. A viewing will be held at the church from 11:00 am to 12:00 pm. Interment will follow at Delaware Veterans Memorial Cemetery, Bear, DE. In lieu of flowers, memorial contributions may be made to the Salvation Army, 400 N. Orange Street, Wilmington, DE 19801. For online condolences visit: brandywinevalleyfc.com. We will miss you and your infectious laugh. My name is Ginny Pankowski. As a teenager, I remember my father, Ed Pankowski, speaking kindly about Joe Morales: a good barber, an even better human being, and a strong and reliable mentor to boys. I think Pop spent a lot of time with Joe in St.Helena’s and CYO activities. Pop died in 2000, but I still miss him every day. I know you will miss your father and friend for a long, long time. May he rest in peace.